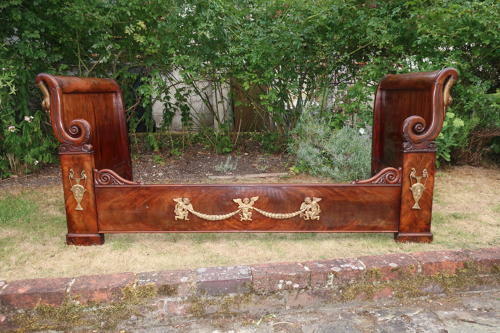 A very stylish French Empire day bed, with typical neo-classical decoration of applied ormolu, cherubs and urns. . Flanked by carved gilded swans. Lovely quality and excellent condition,it comes supplied with slats to support a mattress or sprung support.